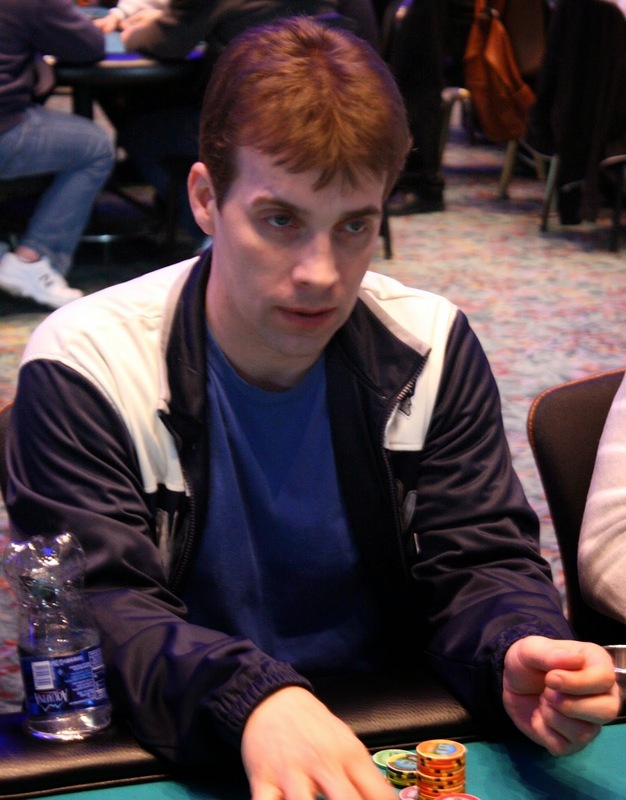 At 3,000/6,000 blinds, Eli Berg opened to 15,000 on the button before Bobby Oboodi reraised to 54,000 from the small blind. Action folded back to Eli who moved all in for roughly half a million. It was a big all in, but Bobby made the call, sitting on almost 700,000 himself. Whoever won the pot would be the first player over a million, and Bobby had the best shot as he held [Qs][Qd] to Eli's [Th][Td]. The [3h][7s][4c] flop changed nothing, but the [5c] gave some chop possibilities. Devastatingly, the [Tc] hit the river instead, giving Eli a winning set of tens. Bobby could not believe his bad luck, and Eli's stack was counted down to 541,500. After paying off the allin, Bobby still has around 150,000. To see this hand play out on ShareMyPair, click here. 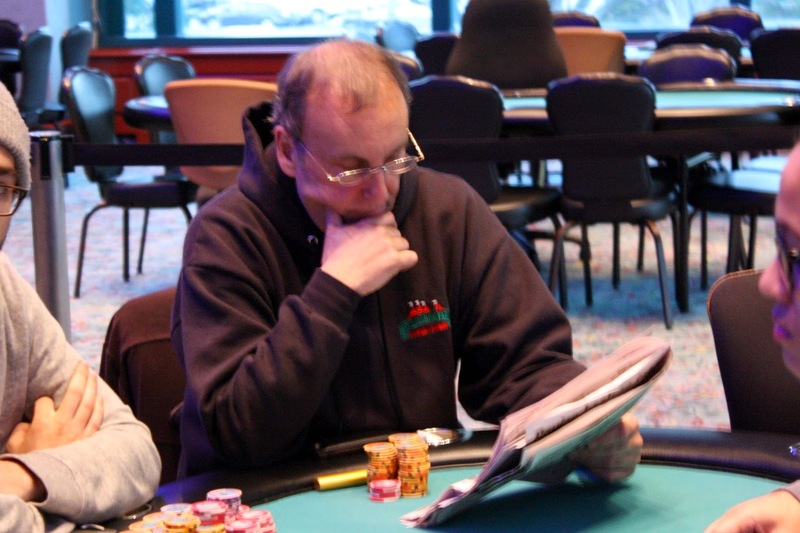 Mike Nye was short stacked on the bubble, and he got the last of his chips in with with [Jh][Jd] after [Ad][Jc] opened. 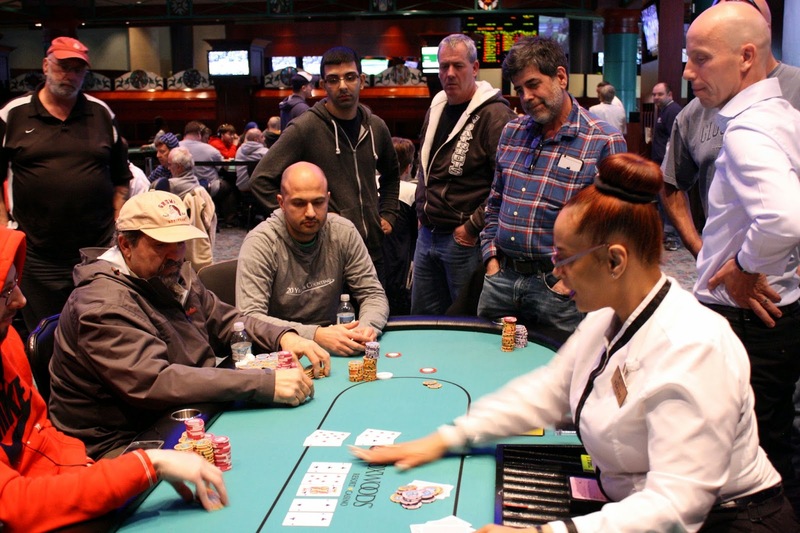 It looked as if Mike would be the bubble boy when the flop fell [6c][3c][Ac], and players from other tables were relaying the news of Mike's doom before the turn hit. With only a 3% chance of surviving. the dealer smacked the [Js] on the turn, the one card that could save Mike. He would still need to dodge a club on the river, and when it fell [8h], Mike playfully yelled to the rest of the tournament, "F*** you all." Mike would double up and survive as the bubble played on. 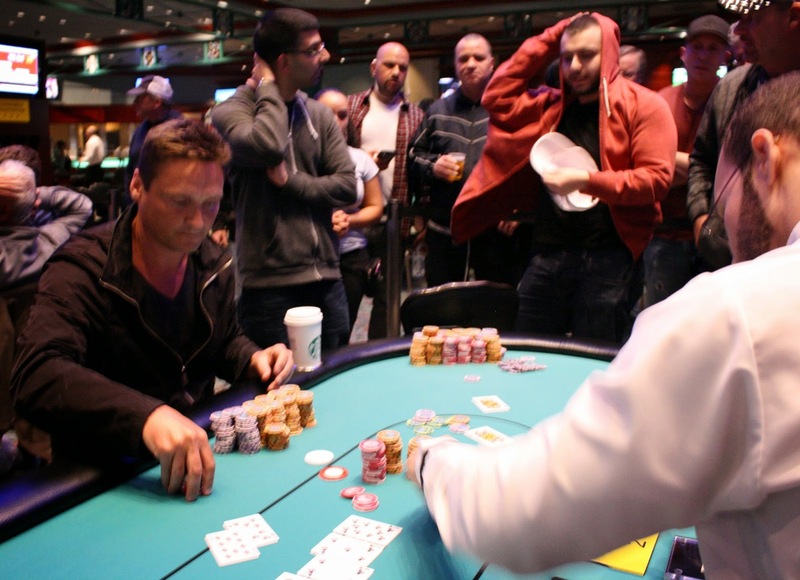 After a brutal bubble, Chris MacNeil was the eventual bubble boy after many other short stacks doubled. Action folded to Chris in the small blind and he moved all in for 25,500 at 2,500/5,000 blinds with [Ah][6h] and was called by the big blind who held [6d][3d]. The board ran out [Kd][3s][Tc][Qd][9s] to send Chris to the rail in 37th place. The remaining 36 players will be in the money, guaranteed at least a $5,334 payday. 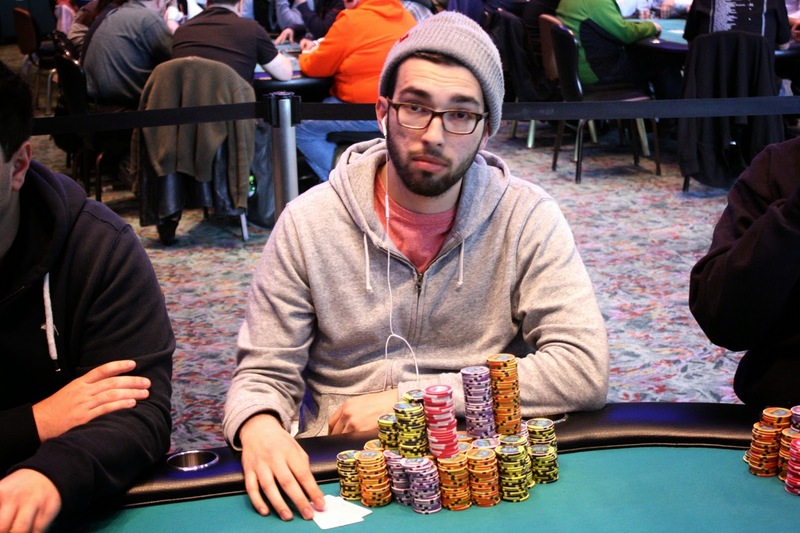 One of those 36 is Will "The Thrill Failla" who is down to only 12,000 in chips. We expect he will be all in very shortly. The 37 remaining players are now back from their one hour dinner break. Hand-for-hand play will continue until we lose one more player. The 37 remaining players are now on a 1 hour dinner break. Play will be hand-for-hand when the next level, 2,500/5,000 blinds, begins. 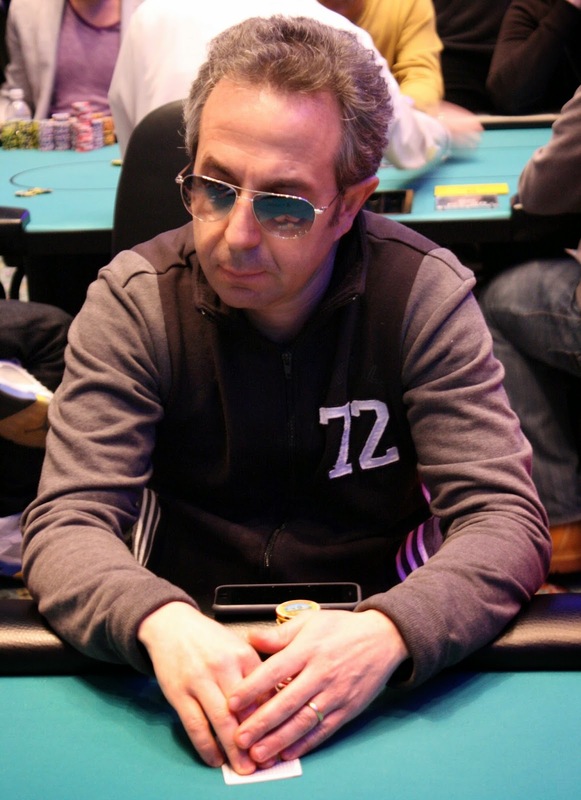 With the elimination of Fred Paradis in 38th place, play is now hand-for-hand. The next player eliminated will be the bubble boy, and the remaining 36 players will be in the money. There is 14 minutes left in this level, and the tournament will take a one hour dinner break at the end of the level whether the bubble has been burst or not. 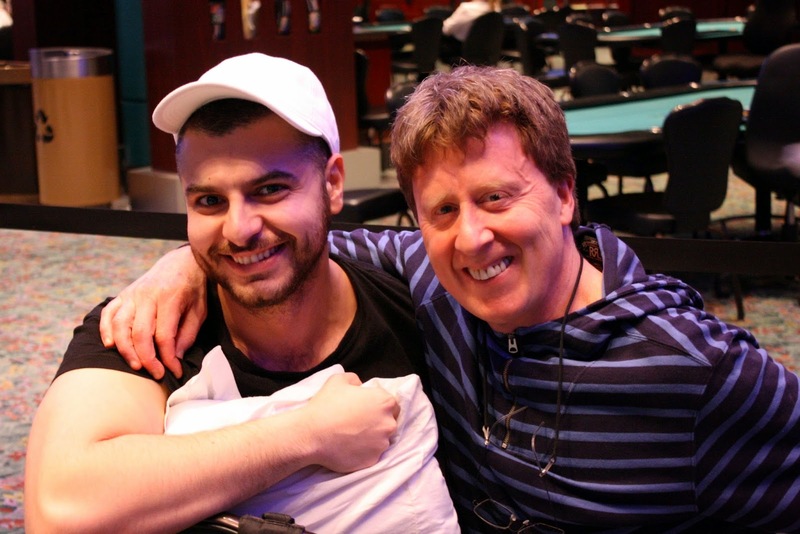 Omar Saeed moved all in from the button and Mark Dickstein made the call from the small blind. Omar was ahead with [Ah][8d] against Mark's [Ac][6d]. The eight kicker held up on a [2c][2s][Kc][7d[3c] board to double up Omar and cripple Mark. 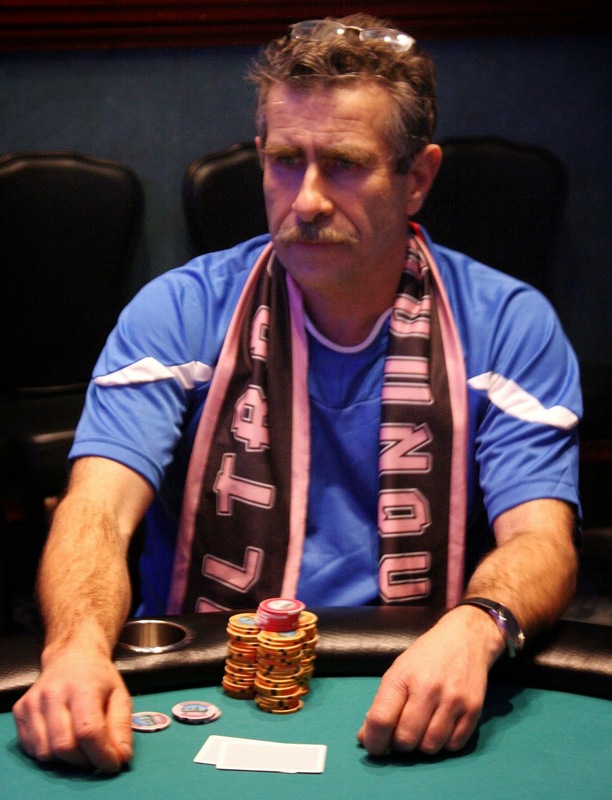 The next hand, Mark moved all in on the button for his last 20,000 after the UTG player limped for 4,000. Mark had [Ad][8c] against [Kd][Jd], but the [Qs][7c][6s][Kh][Jc] board sent Mark to the rail in 39th place, just 3 spots from the money. 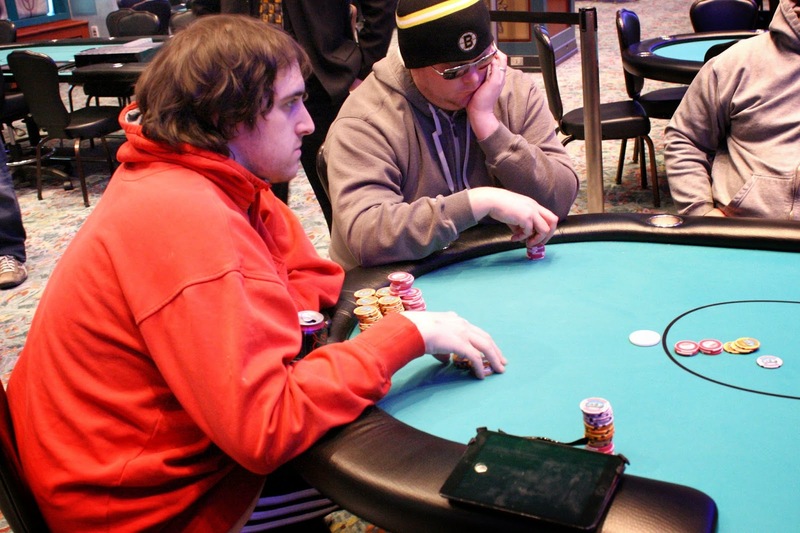 We arrived to Table 3 to see George Cicak and Omar Saeed heads up on a [Js][6c][Jh][3s][Qc] river. We were filled in that it went bet-call on the flop, and then bet-raise-call on the turn. With about 120,000 chips in the pot on the river, Omar had checked and George had put out a bet of 75,000 and Omar was in the tank. 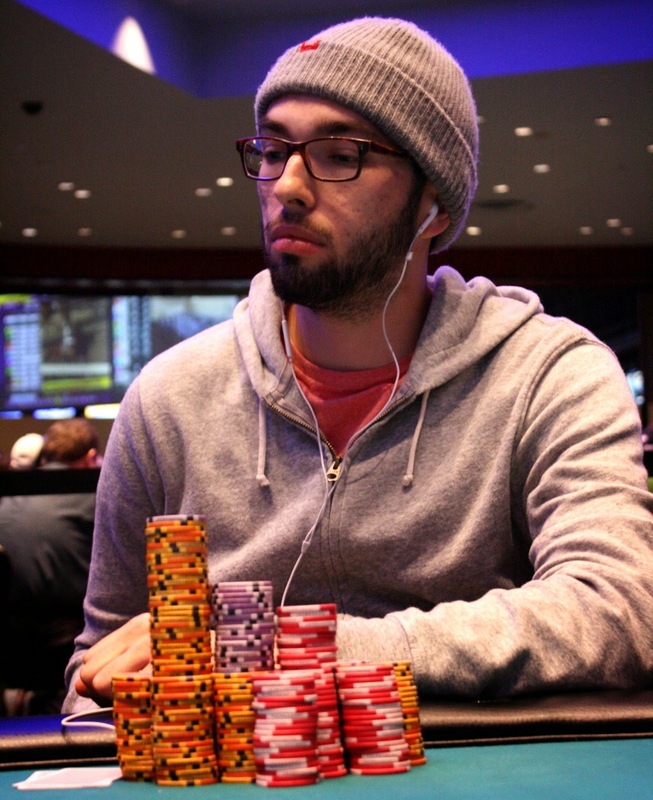 He eventually made the call, and George showed him a flopped full house with [6s][6d]. 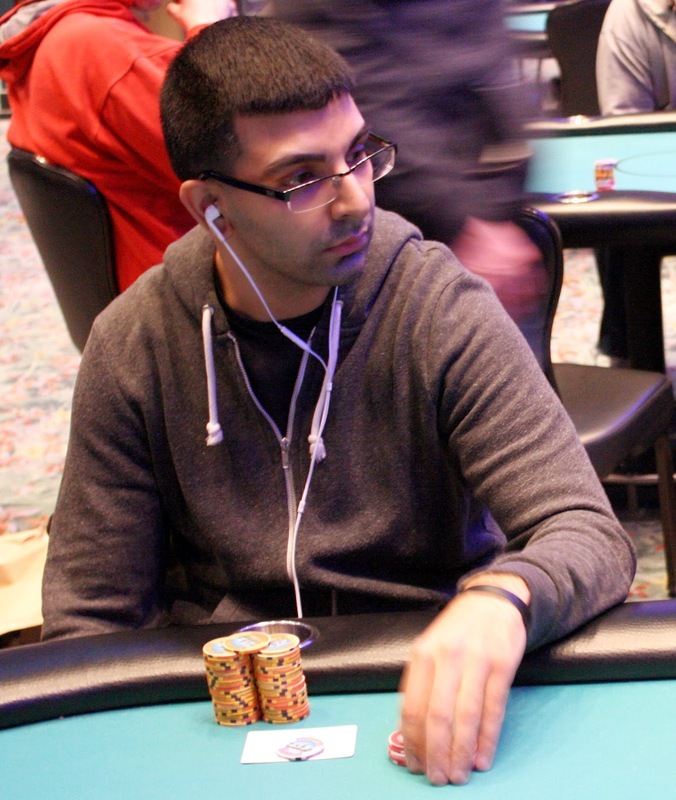 Omar looked back at his cards and mucked [Jd][8s] face up. After the hand, Omar was knocked down to 92,000. 41 players remain with the blinds going up to 2,000/4,000 with a 500 ante. Level 15 is halfway done, and here are updated chip counts for the players we know. 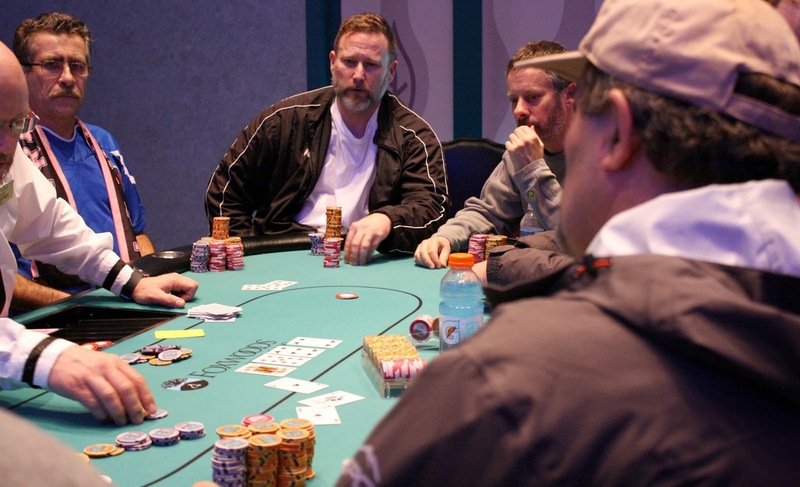 42 players remain, and average chips are just over 200,000. The top 36 players will be in the money. 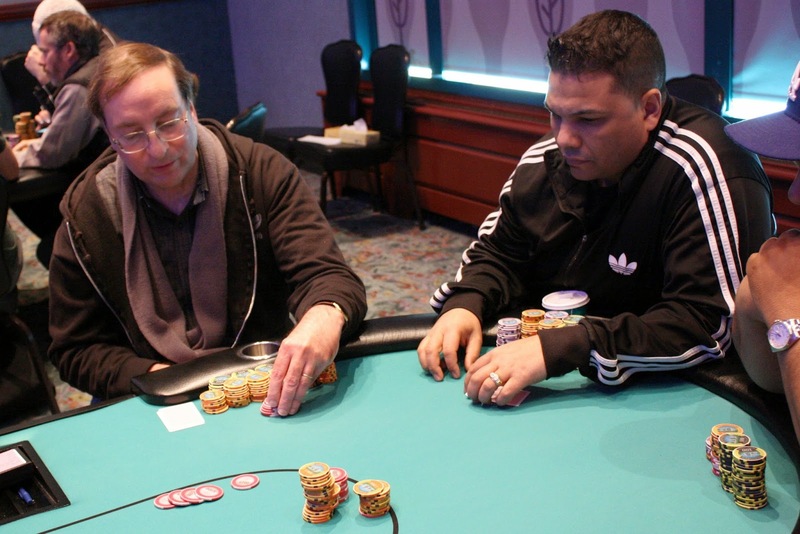 We didn't see how the chips got in, but we arrived to Table 3 to see Chris Tryba paying off Carlo Sciannameo's allin. The board read [4c][6c][9d][Kd][Ac], and Chris had [9s][9h] in front of him. But his set was no good as Carlo had rivered a set of aces with his [As][Ah]. 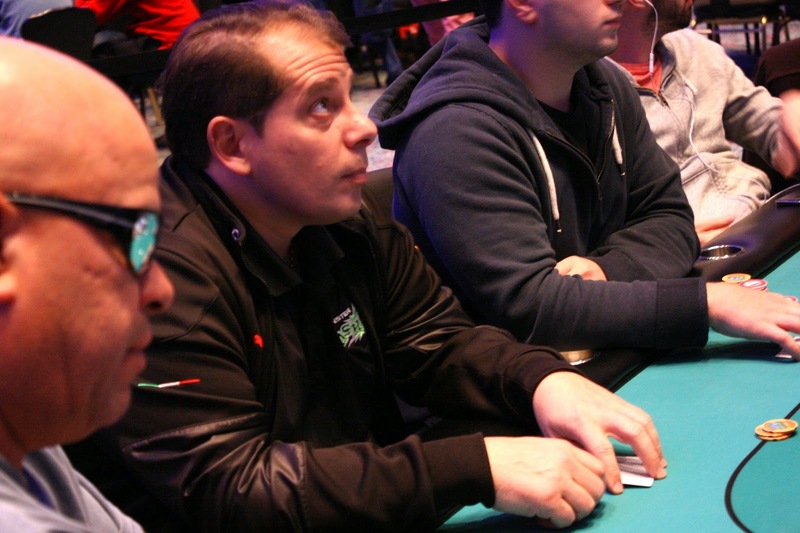 After the hand, Carlo had doubled up to 410,000. 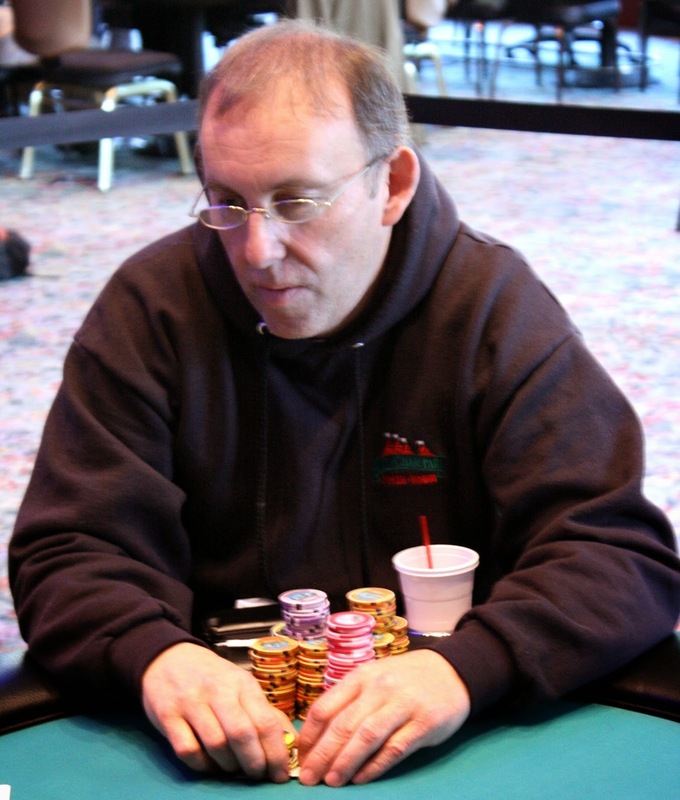 Chris was left with only a few chips, and he was eliminated a few hands later in 44th place. The last female in the field, Katayon Khaterzai, has just been eliminated. 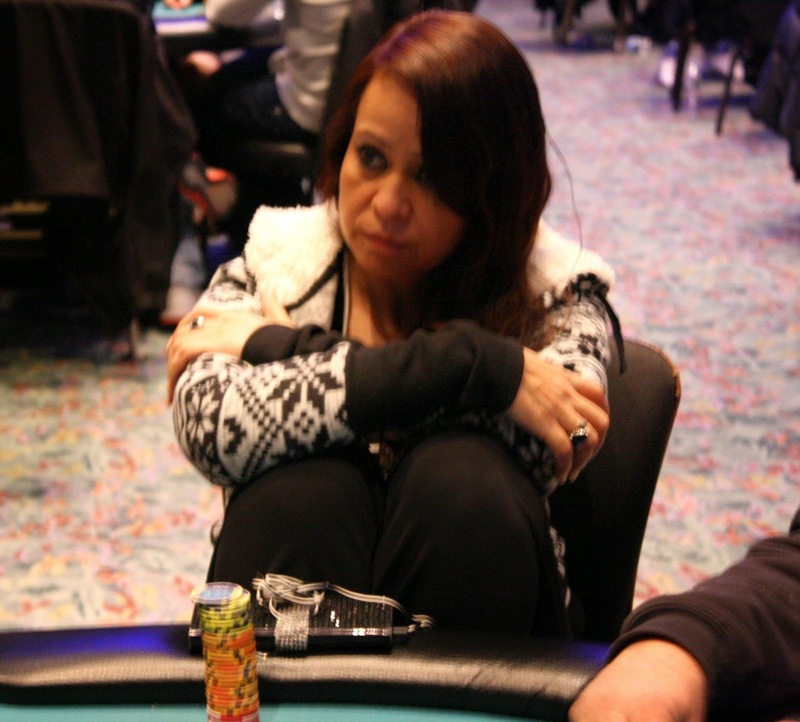 She ran her pocket sevens into her opponent's pocket aces, and she will exit the tournament 11 players shy of making the money. We heard some commotion on Table 2, and we walked over to see what was going on. 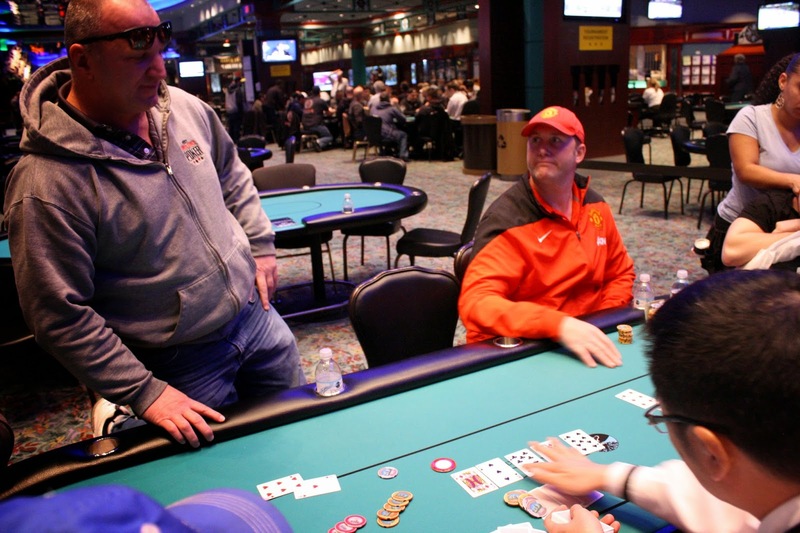 Apparently three players saw a [Ks][5s][Js] flop, and the preflop raiser bet into Daniel Bunker and another player, who both called. When the [Ac] hit the turn, the original raiser checked and Daniel moved all in. His opponent called, and the original raiser got out of the way. It was a complete cooler as Daniel held the second nuts with [Qs][Ts] and was up against the nuts, [As][8s]. Daniel would need to hit a one outer to make a straight flush. He called for the [9s], and indeed that's what hit on the river. The entire table went nuts, and the dealer counted down the stacks. Daniel had his opponent slightly covered, so he will eliminate that player, bringing the field down to 53 remaining. Frank Flowers came in to Day 2 in the middle of the pack, and he's been doing well so far today. 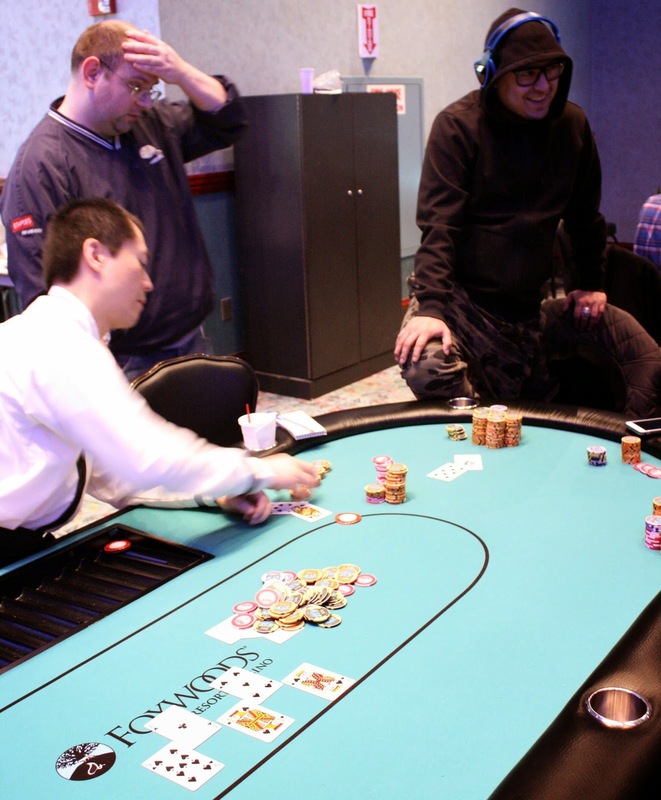 We came to his table to get a chip count and saw him involved in a pot. He was facing a 25,000 bet on a [Ad][Td][Jc][5c][Jd] river. 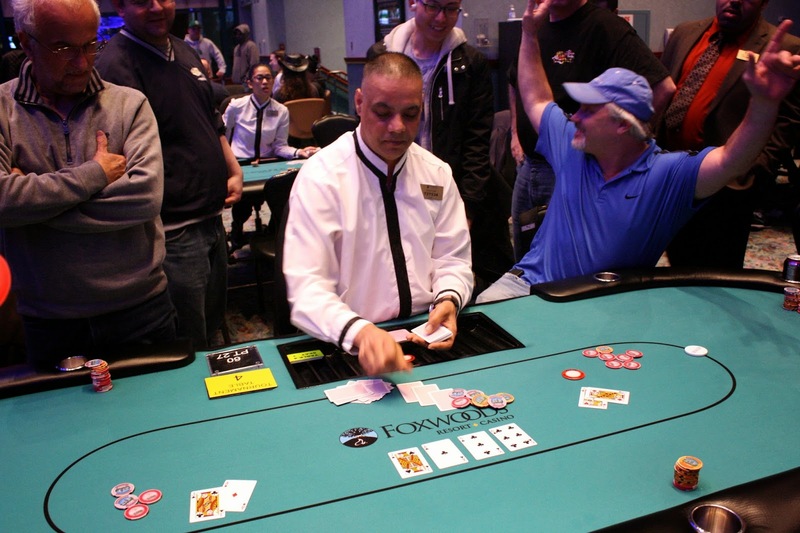 After some thought, Frank put in a 60,000 raise, which his opponent ended up folding to. Frank smiled and tabled [9s][8c] for a missed straight draw. 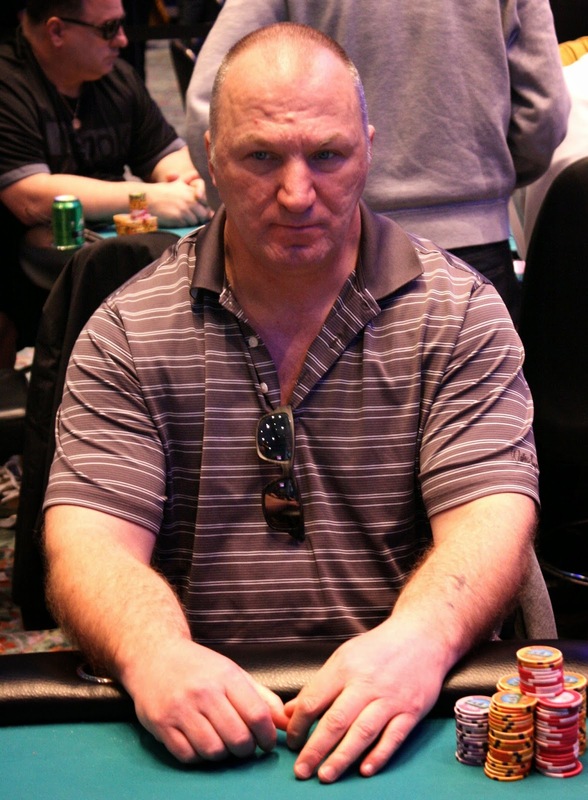 As he rakes in that pot, Frank is up to 230,000, which is a top 5 chop stack with 63 remaining. 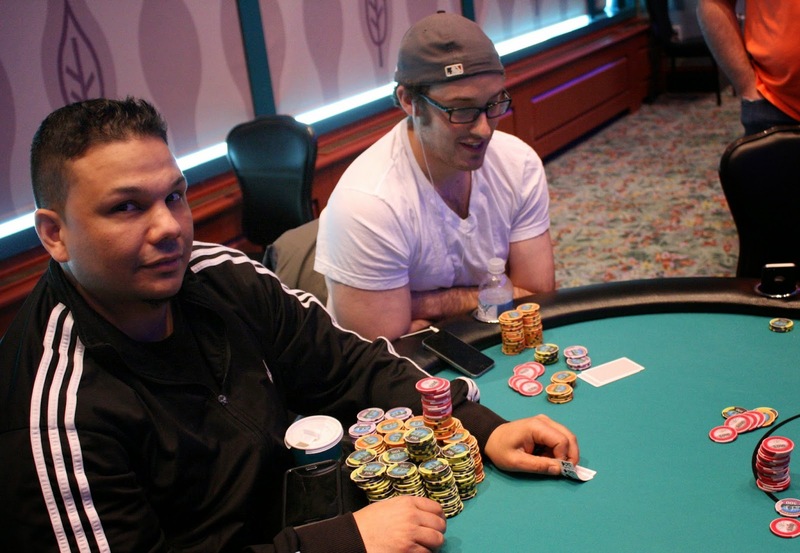 78 players remain in $2,700 Championship Event, and they are now on break. Blinds will be 1,000/2,000 with a 300 ante when play resumes. We are now down to the final 100 players. A table is being broken and there are 11 tables remaining. The top 36 players will be in the money.